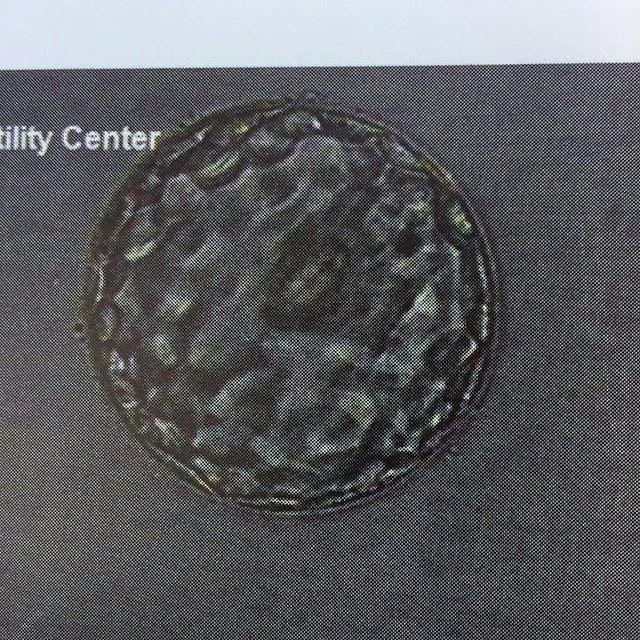 This is our strongest embryo that we used which our doctors named the "over achiever". I think that once we find out that these babies decided to stick around I'm going to put these individual embryo pictures on a canvas. Kinda weird I know but it's their first baby picture. We also got our first ultrasound to see the babies after they were implanted and THAT was very emotional for the both of us. The Dr told me to take it easy for three days. Not bed rest but close enough. No sweeping, no vaccuming, no mopping, no bending over and no lifting anything. Which in my house equals bed rest. My husband has been amazing! The house is really dirty, in my opinion, since I haven't been able to do anything for almost two weeks. BUT he's been doing dishes, loading the washer and dryer while I fold, cleaning the kitty box, feeding the dogs.. all the stuff I normally do. So what have I been doing? Watching Ghost Hunters all day. October is a the best time to watch ghost shows.. so it's been awesome!! No honestly I'm losing my mind. I like to stay busy so just laying around all day isn't easy or fun for me. Top it all off everybody is busy and I have been by myself. I can't just skype or call someone to keep my day going.. so that's been really hard too. I'm taking estrogen and progesterone until we take a blood test because it helps 'glue' the pregnancy together. I have talked to our Dr everyday for the past week & he seems pretty confident that this worked for us. He's also confident that we will be having twins but we will tell in good time. I'm not having any symptoms with the meds or otherwise. I have a very black n blue belly button which they think is from the baby aspirin. That's all. I will try to enjoy my last day of watching Ghost Hunters and dreaming of potatoes (because that's what I do now... another blog post). It's almost Halloween so I'm looking forward to the awesome costume posts!!! Yay...your PUPO! Congrats. Happy Ghost Hunters. Looking forward to your beta results. Yay! If you get too bored, email me. I'm usually working during the days, but get time to check my email every now and then. So happy for you! Our IVF journey has begun.